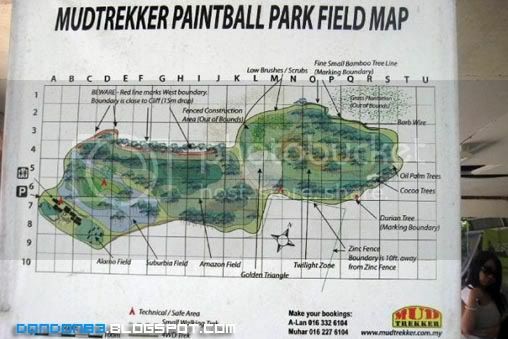 It's a while since last paintball session, and now we decided to declare War at Mudtrekker. so.. let the war begins. 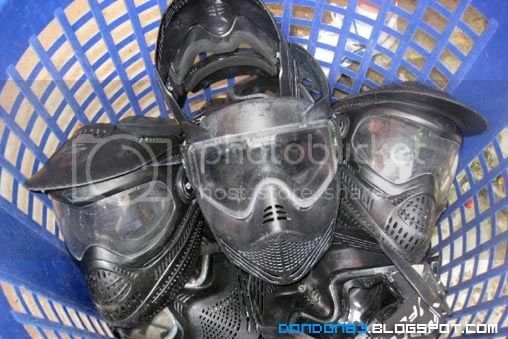 Yeap.. the FaceMask of the battle field. most important protection for your face(eyes). These is the weapon of the battlefield, they called it Marker(Gun). basically they just leave a Mark on ur cloth or body(bruise). 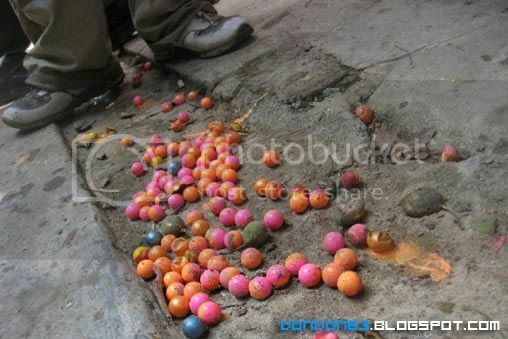 these colorful balls are Pallets(Bullet) , also called the Paint(PAIN) Ball, there is liquid inside these balls. 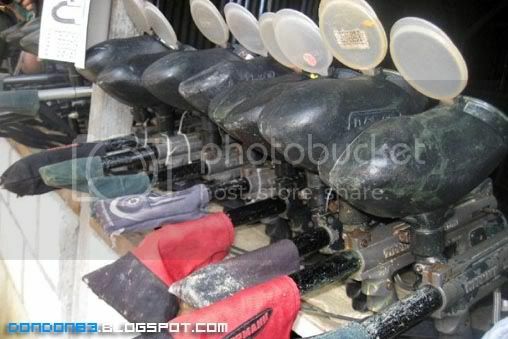 Reloading Pallet to the Marker.ok lar, bullet into guns. 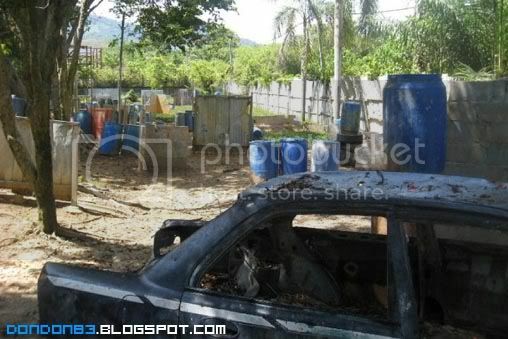 Some Photo of the battlefield... Obstacles..they some how put a car as obstacles.kinda cool. 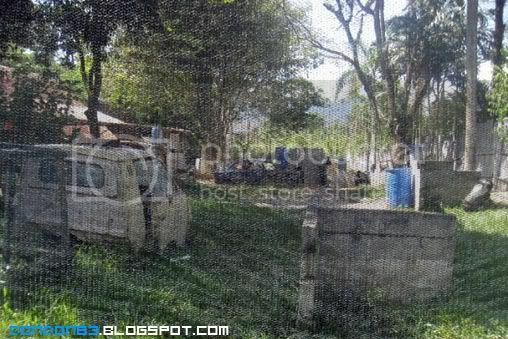 Another photo taken behind the warzone, it's protected with NET. 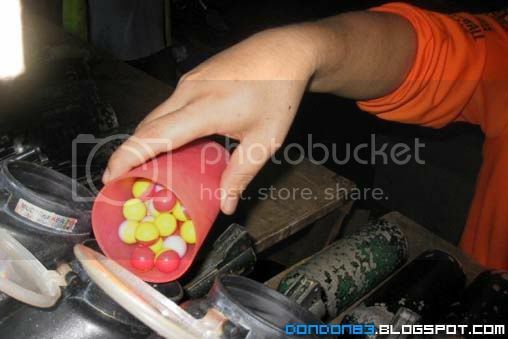 is pallet proved, (bullet proved Net) hehe. i have some words for this... it's not as good as previous war i had here... why?? maybe their business is grown better, and no time to do maintenance ?? 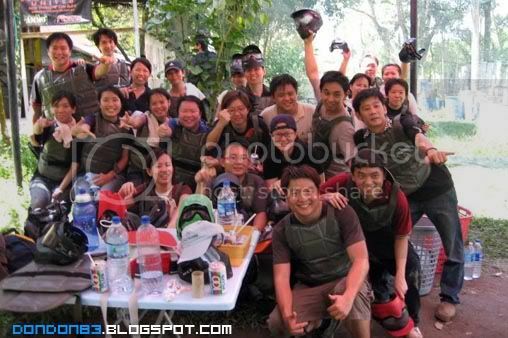 the Marker(Guns) just terrible... it just jammed damn frequently.. 2 shot fired, Marker jammed.. (what the hell? me and my friend keep getting this kind of crap marker.) you waiting waiting to be shoot once ur marker doesn't work (jammed) in the games.. kinda pissed..